Zhengzhou Yifan Machinery Co., Ltd. is professional crusher machine manufacturer,which produce jaw crushers, sand making machine, mobile crushing plant and construction waste disposal equipment-based R & D.Since its establishment Yifan machinery , the company continued to develop as a driving force , innovation, professional development ideas to lead the industry trend , with " standardized, value , series, differentiation" success playing a professional crusher brands. Jaw crusher is one hot product Yifan Machinery Company , with a crushing ratio, even granularity , simple structure, easy maintenance, etc. , have a pivotal role in the technical field of the jaw crusher . JC jaw crusher is applied in highways, railways , airport runways and other projects developed by crushed stone used in construction of advanced equipment. Compared with the traditional jaw crusher , whether it is life, repair rate , the failure rate reflects its unique advantages , with respect to supporting the use of cone crusher , stone shaping machine , the cost is lower . When considering efficiently hard , corrosive materials can be broken , you should first choose to use the most advanced international crushing technology and manufacturing level of JC hydraulic jaw crusher . 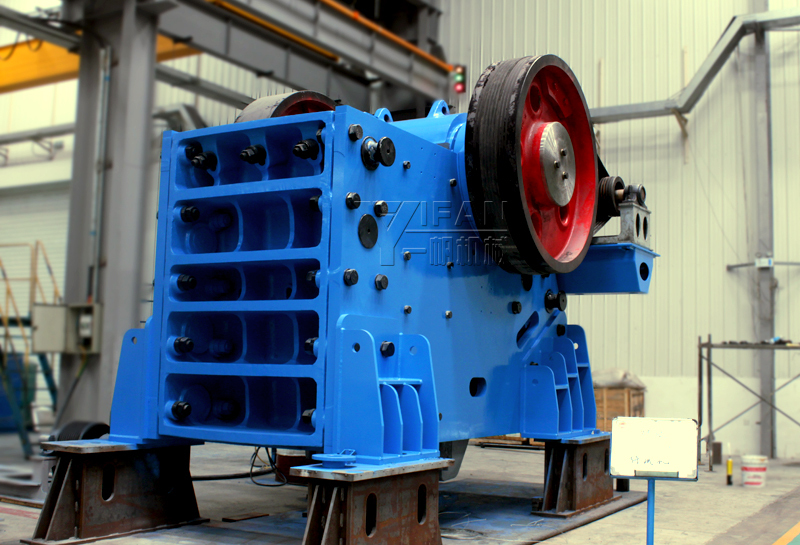 Yifan Machinery JC jaw crusher has become the most popular stone crusher equipment , greatly improving the safety and reliability of the equipment to ensure the daily running of the jaw crusher. 上一篇：How to select the proper sand washer?